Just to warn you this blog could end up sounding like a bit of a moan and I will probably go off on a rant but anyway here goes. 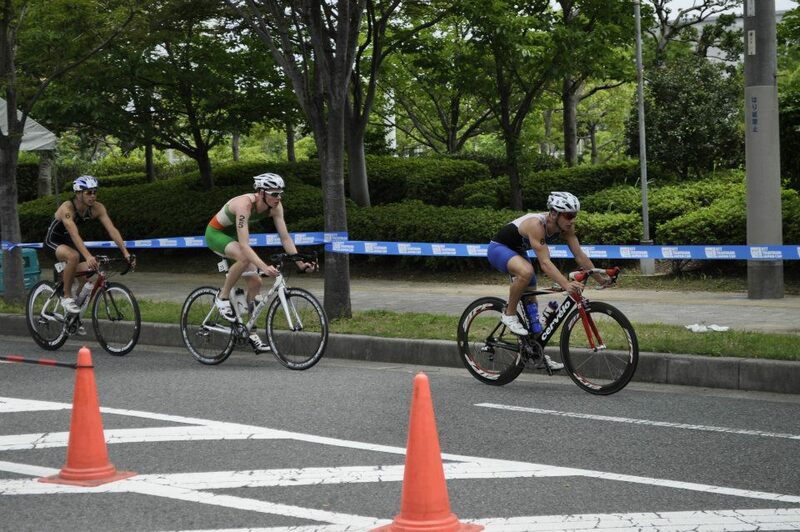 I will start with last weekends race; my first senior European cup in Geneva. 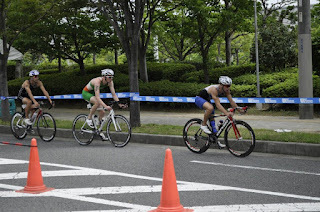 This was always just a bonus race, with not having many ranking points I was never sure if I would get a start but after I returned home from Osaka I got an email saying I was in, I had actually forgot I had entered it. 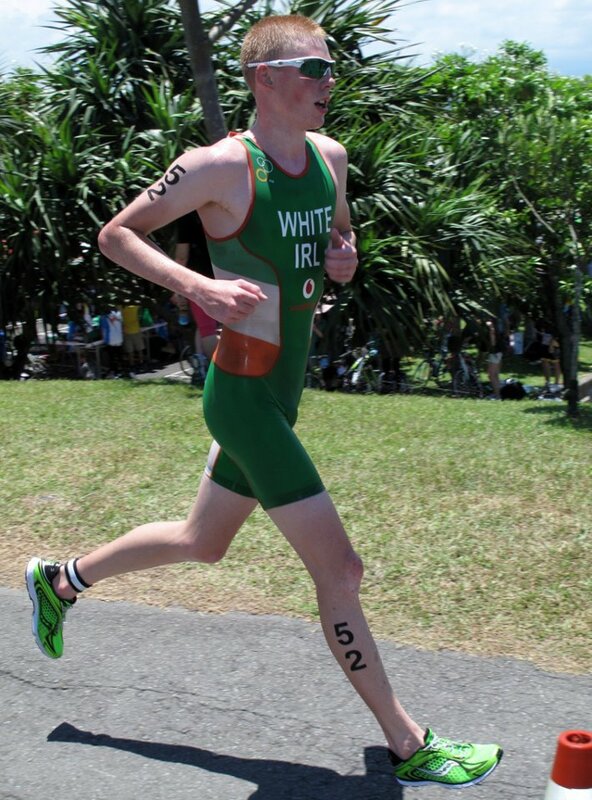 I got put up in a homestay with Bryan Keane which was great fun and I learnt a lot just talking with someone with much more experience, it was a great relaxed environment running up to the race, I was feeling ok, just hoping that I had recovered ok after my trip in Asia and if my winter training was enough to carry me through a 4 weeks of racing and little training. On the day of the race it was very windy causing the lake to be very rough. Ten girls got rescued from the water, 10 professional triathletes, I think that gives an idea of how rough it actually was. Due to this the organisers felt that our swim had to be made safer. 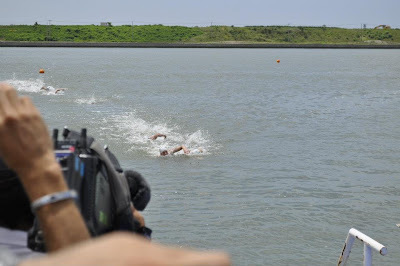 At 1st they decided that the swim would be changed to 2x 500m loops instead of 2x 750 loops, but the guys complained that if it was safe for us to do 2 small loops why could we not do 3 small loops and keep it a 1500m swim, and that is what it ended up being. With a strange swim start. A pontoon start onto a rocky beach start. The swim was hard with the water conditions, as the waves where being caused by the wind and not like sea waves which would be regular, these waves were very irregular and made for a tricky swim. The only benefit of this type of swim is that nobody wants to be near each other therefore no fighting but also no drafting. I continued my form in swim legs of late and exited comfortably in the front pack. On to the bike, a 6 lap 40km with a hard hill each lap. My group worked very well and we put time into the other packs every lap. I was happy with my cycling I was able to copy with this new level of racing I just need to work on it more aiming to just be fresher come the run leg, unfortunately it wouldn’t have mattered what state my running was in because I didn’t get to make it that far. At the end of the 5th lap a spoke in my rear wheel snapped and my wheel buckled got jammed in my frame and I skidded to a halt. I ran to the wheel station, which was close by. But with not having any spare wheels I was hoping for a set of neutral wheels which are available at most races at this level … but not this one. I was assured that they would have them for next year, as if that would help me. I just stood at the side of the road with a bike that didn’t move watching the other bike packs pass by, that was the end of my days racing. I was extremely annoyed as everything was going so well. A great swim, in a lead pack of 11 with a 2min lead over the next pack. I know my running still needs work but I don’t feel I would have lost 2 mins on the chasers. Should’ve could’ve would’ve, that’s racing for you. I came home knowing that I had six weeks to get as much solid training as possible to be ready for European U23 Championships. 1st training session I was going out for a spin on the bike with a friend only to get to the bottom of the road, and without warning my rear hanger shredded in half, mangled my rear de-railer as it was pulled through my frame. So a good start to a big block of training as I am now wheel-less and bike-less. 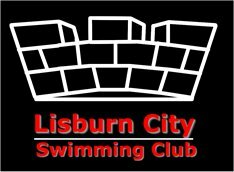 They say bad luck comes in threes so I was just waiting for the next one, that came today at the Lisburn City Triathlon. So on a borrowed bike and borrowed wheels what could happen now. Thought I would give it a blast. Swim was awful, people that don’t let you past when you touch their feet at the end of the pool, and lapping athletes in your lane. I made it out and on to the cycle, to realize I had a very soft tyre, I decided I would just ride on it, trying to keep the bike as upright as possible and went around every corner with a foot unclipped. There was one set of lights on the bike course that turned amber as I went through them so I gunned it to get across the junction as I didn’t want to slam on the brakes with the flat tyre and I felt I could make it, unfortunately the marshals didn’t see my rational as I got disqualified after the race. I made it back to transition and got a good run in, 14.19 to be exact, (something tells me it was a bit short) running well but not that well, regardless of time it was a good run and one I was very pleased with, ended up posting the fastest overall time by over 3mins 45secs. Very disappointed with getting my first disqualification. A DNF and a DSQ in my last two races, seem to just be collecting letters rather than results. Disappointing after my good results in World Uni games and Osaka. Sport is cruel yes I know but I feel that I am just not getting anything easy and little reward for the hard work I am putting in. I am finding it hard to get any sponsorship at the moment, fair enough I know I am new to the sport but I am competing at a very high level, and I have some good results to my name and showing a lot of potential. Its times like this when things go wrong with my bike with nothing to fall back on that I need a helping hand. When the Irish junior squad are all being giving bikes when I have only moved out of that squad this season and some of the recognition that they have got is through results that I achieved in the past two years, they are reaping the benefits, most of them are having to choose between current sponsors bikes and these new bikes. I would be happy with the chance of one. With all my kit and these past trips all being funded by my parents it just makes everything much harder. What more do I have to do??? Fair enough you can say just keep getting more results, well I have heard that enough times what more do I need to do, how about getting a break? A bit of help can help me get more results that bit easier. Going into this race I wasn’t completely sure what to expect; this was my 1st major race of the season, my 1st ever Elite Olympic distance and only my second ever Olympic distance triathlon to date. 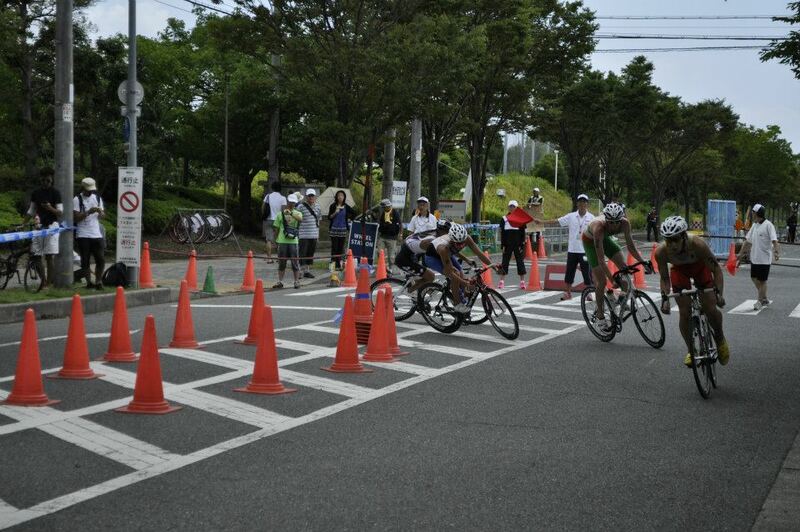 I knew I had to put in a good race as I had travelled to the other side of the world to compete, Taipei do be exact. I wasn’t making all this effort just to make up numbers, I knew I was in good enough shape, but just not sure what that shape would equate to at this level. I had been in Taipei for 5 days before the race to try and acclimatize as much as possible, race day ended up being 35+°C, crazy levels of humidity and water temperature of 31°C which is just ridiculous. Perfect weather conditions for a ginger boy from Northern Ireland. There was nothing I could do, I had expected this when I planned to race in Asia, and everyone was in the same boat. It was obvious that the race was going to come down to; who could survive the heat most successfully. As I haven’t raced at senior level before, I was unranked therefore having a start number of 52 out of 55 athletes, resulting in having one of the least favorable starting positions on the pontoon. Regardless of this I was happy with my swim I got out well and exited the 1st 750m lap in 4th place and that is where I stayed for the duration of the swim. 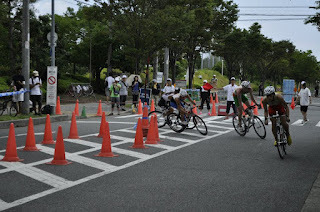 The bike course consisted of a 4 lap 10km circuit, on the 1st lap there were two Americans up the road, then myself and a French athlete slightly behind, with a large chase pack further behind. Unfortunately myself and the French athlete were holding the same gap to the Americans, as they did not want to form a pack of four which would have ended up being extremely beneficial to all involved as the chase pack was not working that well. My French friend decided to sit up at the end of lap one which forced me to do the same. This ended up being the right thing to do as we all joined together as a large bunch of 30 or so. I came into transition in a strong position, I didn’t go out too hard at the start of the run compared to others meaning I lost some places but I was happy that I was doing the right thing as I didn’t know how I was going to cope with the extreme heat. The run course was a four-lap 2.5km course parallel with the river, with a water station at each end. Talking with other athletes we all said the same thing; the run turned into a means of getting between the each water station as fast as possible. I felt surprisingly good on the run and was able to pick back the places that I had lost in the 1st km, as I feel I build into the run. I have to admit that the last km was not pretty at all but I am more than happy to have that last km as the only part of my race that I was not happy with. I hope that this shows that I am going in the right direction to make a successful jump into the senior ranks and that it shows my potential for the future. I am currently sitting on a plane to Osaka, Japan to compete in an Asian Continental Cup race next Sunday 8th July, I hope that I can put together another solid performance and come away with another good result. I just also have to say a massive thanks to Stephen Delaney for being a massive help and allowing me to focus solely on the race while he dealt with everything else, it really made a big difference. I will leave you with a nice wee picture of my back (on left) the night after the race, considering that I had extreme waterproof factor 50 sun cream on, I have a a slight feeling it didn't really do its job properly.